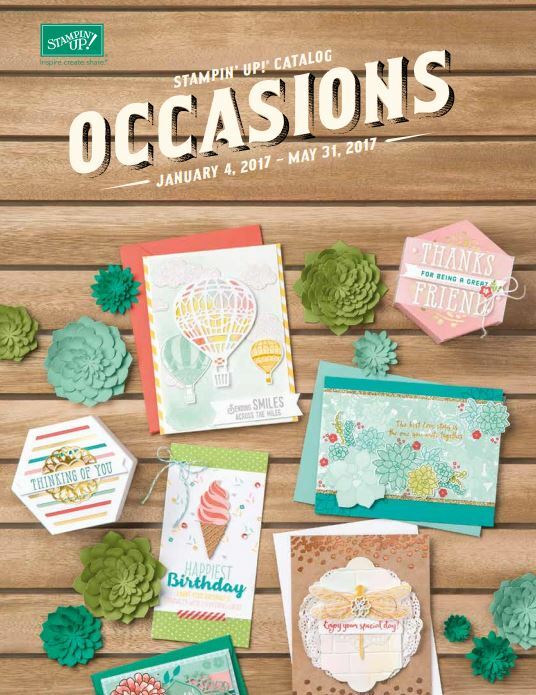 NEW 2017-2018 Stampin' Up! Catalog! The NEW 2017-2018 Stampin' Up! Catalog is here! The catalog runs from June1, 2017 to May 31, 2018. I have put together a tour of the catalog with samples! Hope you enjoy it. So, grab your favorite beverage and your comfy chair and see what great things Stampin' Up! has in store for us this year! 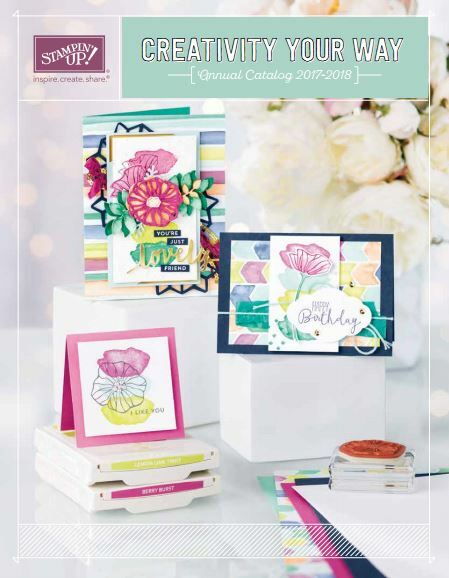 Don't have your 2017-2018 catalog yet? It’s that time of year again. Stampin’ Up! 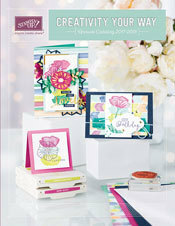 is getting ready to retire stamps and accessories from both the Annual and Occasions catalogs. As sad as it is to see these products go, there’s still time for you to get them before they’re gone. Accessories & tools that are retiring will only be available while supplies last. Retiring stamp sets will all be available until May 22. After that it's while supplies last or until May 31st. 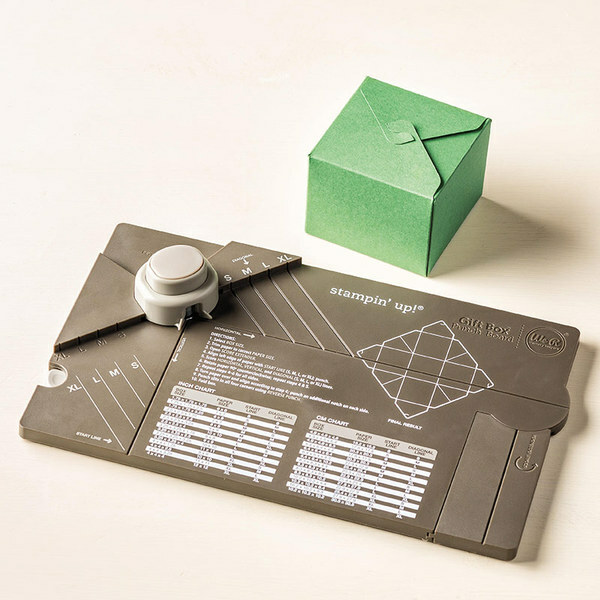 The Gift Box Punch Board - Now 40% OFF! Easy to use, and make great little gift boxes for every ocassion! 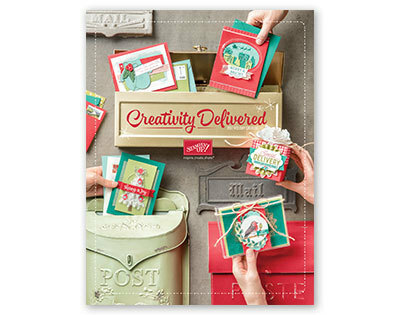 Watch this video for great tips on how to use the Gift Box Punch Board! This Ruched Ribbon is so easy to work with and it looks great on cards or gift packaging! It comes in the 2016-2018 In Colors: Dapper Denim, Flirty Flamingo, Peekaboo Peach, Sweet Sugarplum and Emerald Envy. 30% OFF while supplies last! And don't forget about the retiring 2015-2017 InColors! WHILE SUPPLIES LAST! And they go REALLY fast!